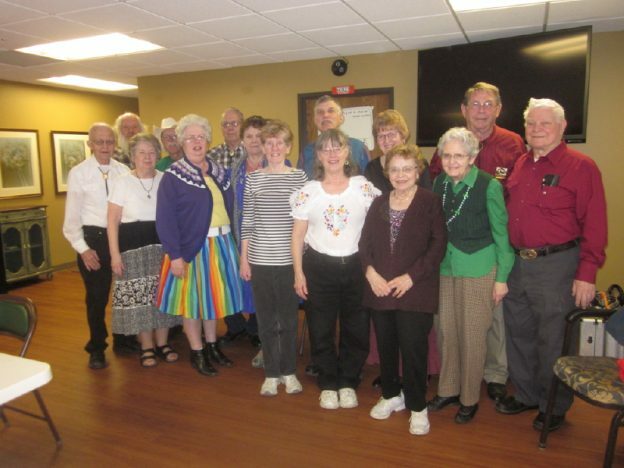 MIN-OWA Plus | Square Dance Minnesota, Inc.
March 11, 2018 – MIN-OWA Plus Square Dance, Sherburn, Caller Larry Fruetel. Two squares with dancers from County Line Squares and MIN-OWA Plus were present (see photo above). This entry was posted in Activities on March 11, 2018 by LeRoy.